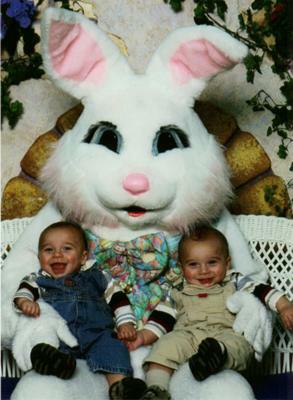 Ethan and Evan go to visit the Easter Bunny! I just want to squeeze them up! AWWWW just about sums it up! they look they will be the best of friends! Some of the cutest Twin Boys I have ever seen!